We Ask The Pros: How Do You Shock A Lagging Body Part? There are two ways to strengthen overlooked muscles: Work them more often, and work them in new ways. The "more often" part is up to you, but here are tricks for stimulating new growth. Do you ever feel as though there is one area of your body that never seems to improve, no matter what you do? Lagging body parts are frustrating, but with the right approach, you can whip them back into shape! Lagging parts are usually in areas people just don't like to train, which, of course, weakens the muscles over time. You need to bite the bullet and hit these muscles more often. 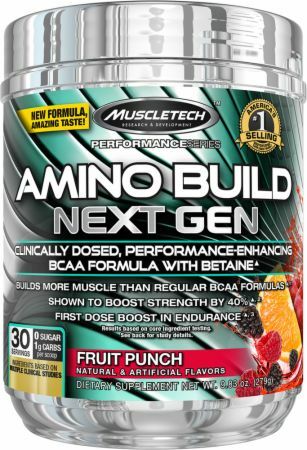 But you can also use the specific techniques offered up by these MuscleTech-sponsored athletes to give these areas a little extra push. Aragon's tried-and-true program when he wants to shock his lagging back muscles is to add a second back day. "I have one heavy day that includes dumbbell rows and racked pulls," he says, "then I have a second day where I use high reps and include various lat pull-down grips and pull-overs." The trick for him is to work the muscle more than once a week, making sure to use a variety of rep ranges. While once a week is often enough to maintain a muscle group, Aragon says, bumping up the frequency to twice per week can kick-start growth and strength development. To help optimize his training and bring up a lagging muscle group, Kurek performs heavier work. "Heavier sets of 3-5 reps max followed by 8-12 reps of the same exercise at a lighter weight has always worked wonders for me," Kurek says. "The pump sustained after each superset is almost always overwhelming." If a body part isn't responding during your normal workout, he says, try doing something that isn't normal. This might mean changing the weight and rep scheme, adjusting the order in which you're performing the exercises, or doing a different exercise altogether for that muscle group. Your body responds to change, so mixing things up is a must to stimulate a lagging part. "I love to shock my muscles with blood flow-restriction (BFR) training," explains Albonetti. "I use this technique once a month with my arm and leg workouts." BFR involves wrapping a device such as a pressure cuff, KAATSU device, or even knee wraps around the top portion of a limb to restrict blood flow out of the working muscle. When you do BFR correctly, blood can easily enter the muscle but is then partially prevented from leaving it. Metabolites like lactic acid that stimulate muscle growth start to build up in the muscle, and the fatigue caused to the muscle by the restriction forces your nervous system to recruit the largest fast-twitch muscle fibers, which have the greatest capacity to grow. BFR isn't for everybody. It's uncomfortable, but rest assured, it'll get you results. To get the most out of this type of training, Albonetti uses it at the end of a workout and moves to a lighter weight. "Never try to lift heavy when using the blood flow-restriction technique," he says. "You won't be able to generate maximum force and power when your blood flow is being compromised, so heavy lifting should never be the goal. Aim for high reps and light weight. "BFR gives you a great pump, and the resulting fatigue makes you feel like you've really accomplished something." Try BFR a couple times a month with your lagging muscle group, and you should start noticing a difference. Making changes is one of Thomas's favorite methods to bring up a lagging muscle group. "I like to adjust exercise selection and order," Thomas says. "For instance, if I typically squat first, I'll move this to the very end of my session." By saving the squats for last, he works his quads while they're in a fatigued state and must work much harder. When you move an exercise to the end of your workout, don't forget to maintain good form. It's easy to get sloppy when muscles are overly fatigued. Check out "6 Ways to Supercharge a Lagging Body Part!" for more ideas.